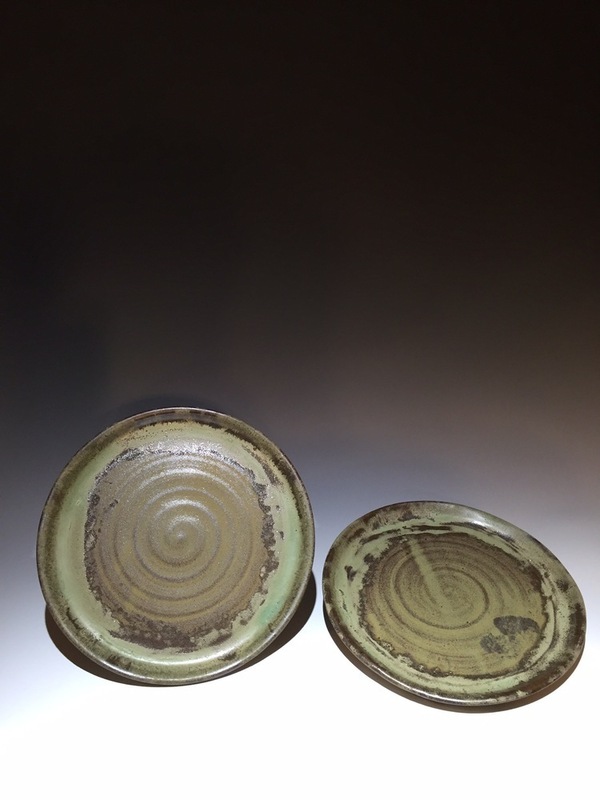 Miracle Pottery Luncheon Plates featured here in our signature glaze pattern are fabulous on your dinner table. Stoneware is durable, easy to clean in your dishwasher. It never scratches. Steak knives will never dull the high fire glaze-ever. It will last for generations. Safe for the microwave and it is ovenproof. Our Dinner Plate measures about 8 inches across. Lip is slightly raised to about 1 inch at the outside edge. Measurements are approximate hand made items vary slightly in size.